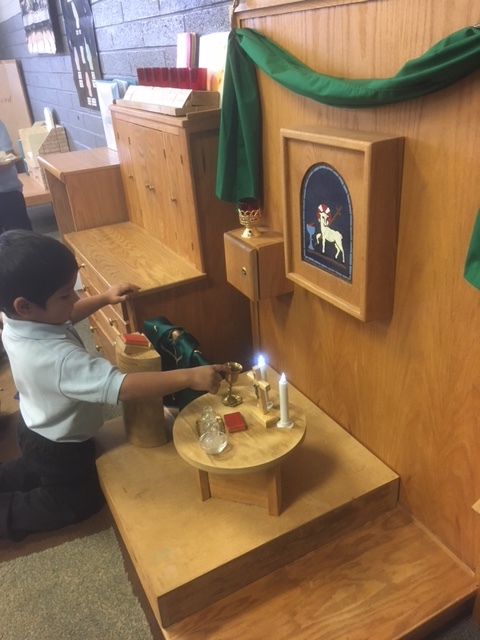 Atrium is a special opportunity for your child to grow in his or her relationship with Jesus, the Good Shepherd. 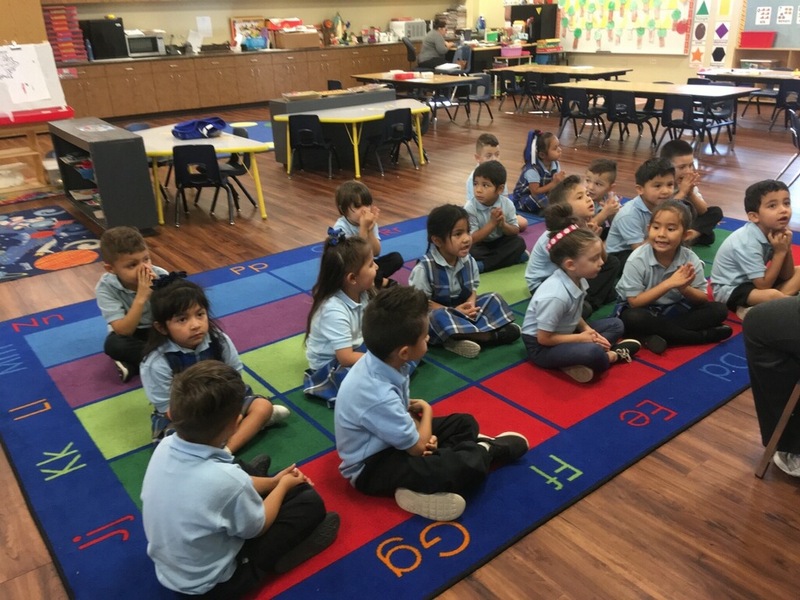 It supplements the homeroom religion class by giving children an opportunity to spend time reflecting on the Word of God and the Mass in a way that brings their faith experience from the head to the heart. 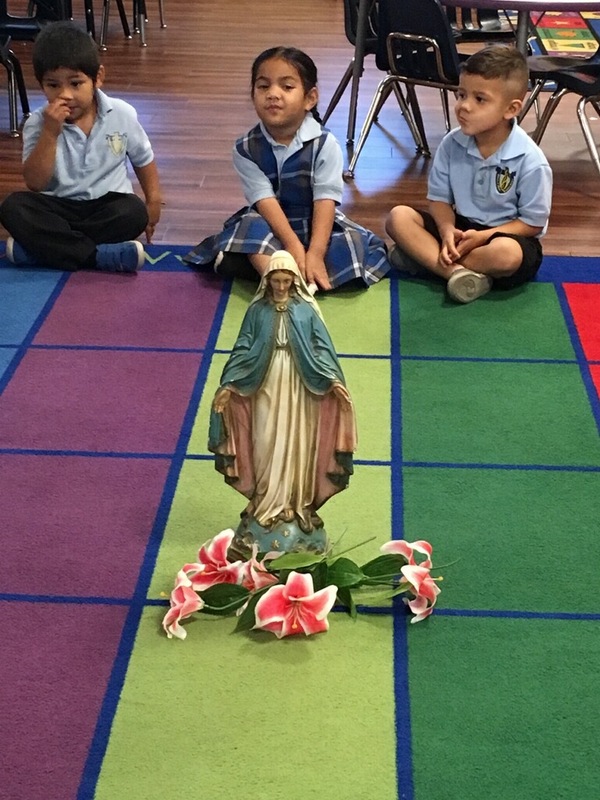 Students from Pre-Kindergarten through third grade participate in weekly atrium sessions, on Mondays, where they learn about practical life which prepares them to participate more fully in the Mass, articles and gestures of the Mass, how to read the Bible, and scripture study related to the life of Jesus and the parables he taught.